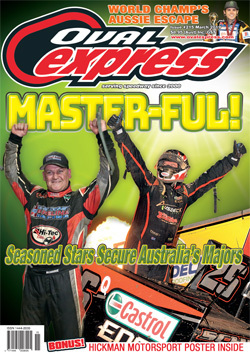 Since its highly anticipated launch in 2000, Oval Express Magazine has become recognised throughout the industry as Australia’s pre-eminent oval track publication. 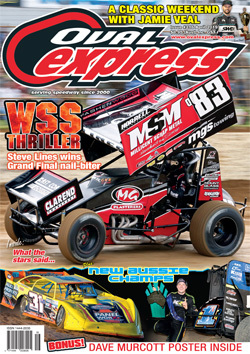 A clear market leader today, Oval Express is a glossy, all-colour, A4-sized, feature-based monthly print publication consisting of original, topical and unique in-depth articles, technical features and profiles upon the personalities and businesses in the sport. All of these features are illustrated with the latest, most up-to-date and pertinent photographs from our extensive network of contributors across Australia and from overseas. Our regular and guest columnists consist of many of the sport’s biggest names, while industry products and new releases also figure prominently. 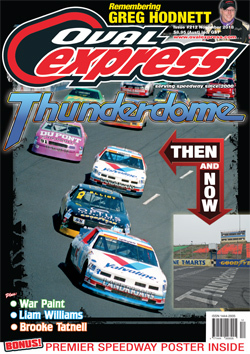 Additionally, Oval Express publishers have always been cognisant of the need to keep pace with an ever-changing world. Therefore, each month’s print publication is also available in a digital format via the App Store’s free Magshop application. The combined enthusiasm of our staff and contributors is unmatched with a wealth of experience in publishing, journalism and photography. As the most widely travelled media in all of speedway, we are able to capitalise upon our international contacts from more than 30 visits to the United States. 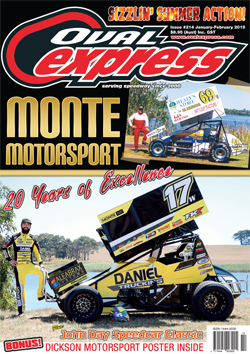 Oval Express’s co-founders Phil Jordison and Jon Evans have regularly been recognised with accolades as the Australian National Sprintcar Poll’s ‘Media Member of the Year’. The former award was voted upon by a nation-wide panel, consisting of representatives from the media, sanctioning bodies, officials and manufacturers from within the speedway industry. 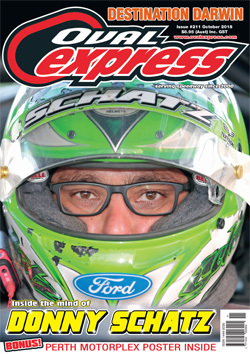 The emphasis of Oval Express has always been upon quality with production values, artwork, design and layout far exceeding those of other magazines covering this segment of motor sport. Our constant goal is to provide competitors with a quality glossy publication they would be proud to have displayed on a sponsor’s coffee table while, at the same time, giving advertisers value in providing the best possible medium in which to display their products. 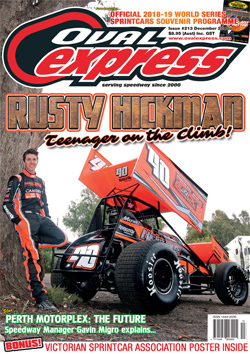 © 2014 SprintCarWorld. All Rights Reserved.